This small village is thick with canals, 180 foot bridges and brick houses with thatched roofs, making for picturesque scenes at every turn. It was founded by Franciscians circa 1200. Now 2600 people live there. We took a boat through the canals. Here are my favorite spots. 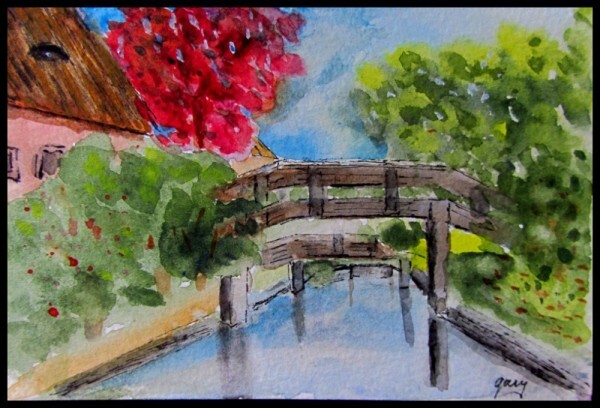 All are miniatures, approximately 4″ x 6″. 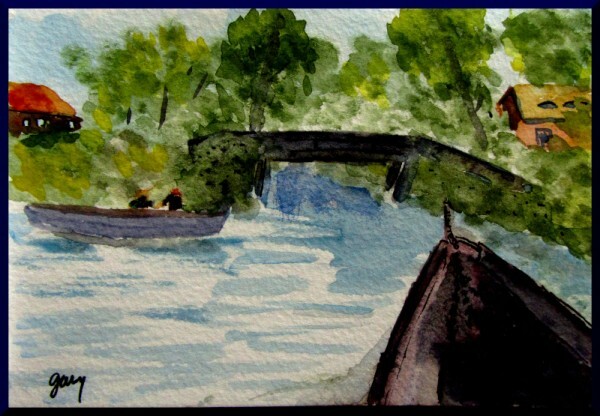 The watercolors are on post card stock.